Home > Questionnaires > Questionnaire: Should I Relocate or Take Redundancy? Discovering that your employer is relocating can be heartbreaking for some, but for others it can be the perfect opportunity for a fresh start. Employers relocate for many reasons, it could be to save costs, or just simply the need for bigger premises. Just because your employer is up and moving sticks though it does not always mean that you have to follow, and the new location may make it impossible for you to continue in your current job. These questions should provide you with some information about what your options are. 2)	Would Relocating Increase Your Travel costs? 3)	Are There Reasons You Cannot Relocate? C)	We have binding commitments in our current area, such as a sick relative/elderly parents. 4)	How Far Away Is The New Location? 5)	Will You Be Able To Find A Similar Job In Your Current Location? 6) Is The Job You Are Being Offered Better? When deciding between relocating and redundancy, the first thing to do is check your employment contract and see if it includes a mobility clause. If it does, this means you have agreed to relocate within reason to wherever your employer moves. There are exceptions to this, such as if your employer is moving to another country or they only give you one weeks’ notice to move for example. If you are unlikely to find a job elsewhere and there is no hardship in you relocating it would be wise to do so. If it is written into your contract that you must relocate then your employer may not offer you redundancy if you are being unreasonable. There is no fixed definition as to what is classed as unreasonable, but if for example you turn down the job merely because you do not want to travel a few extra miles every day, your employer may have a case to refuse you redundancy. It may be that your employer can offer you a trial period at the new location, but if they do, make sure the terms and conditions of the trial period are agreed in writing. It sounds like accepting the new job could cause you some upheaval and you are in two minds about accepting the offer. If you have genuine reasons for not wanting to move, i.e., your children’s education, or the care of a family member, your redundancy will not be affected. If the new job has better prospects, travelling a few extra miles to work might be worth the sacrifice. Some contracts will include compensation for relocating, such as help with moving expenses, finding temporary accommodation and legal fees. If your employer does offer you relocation costs you may not then receive redundancy if you have already accepted relocation costs and later decide to leave. It sounds like relocating would not be the best option for you. 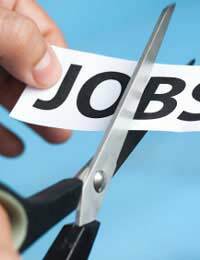 If it is not written into your contract that you have to move with the job your employer should offer you redundancy. If they don’t offer you this and terminate your employment you could take them to an employment tribunal for unfair dismissal. If the new location would mean you having to move house and leave behind an elderly relative or sick family member that you care for, it would be unreasonable of your employer to expect you to move. If you think you will be able to find a new job in your current area relatively easily, this may be the best option. When employers announce they are relocating a company this is often met with negativity by the employees, especially if it is a long way away. If you enjoy your job and it has good prospects you may accept the sacrifices that the new location brings, but if relocating is out of the question redundancy might prove to be the better option.